Variety has more details, but the short version is that the film rights to X-Men, Fantastic Four, and their related characters now go to Disney (who owns Marvel comics). The price tag? Just $71.3 Billion. No big deal. Let the wild speculation begin! Doctor Doom as the next “Big Bad?” Magneto? Galactus? Personally, I’m just holding out for a Firefly/Serenity ride at Disneyland (“Oh God, oh God, We’re All Gonna Die: The Ride”). Fingers crossed. Accompanying the US Football championship yesterday was a slew of advertisements, including several for this year’s coming blockbusters. Our first TPT of 2017! Some new movies coming and some new series to check out. 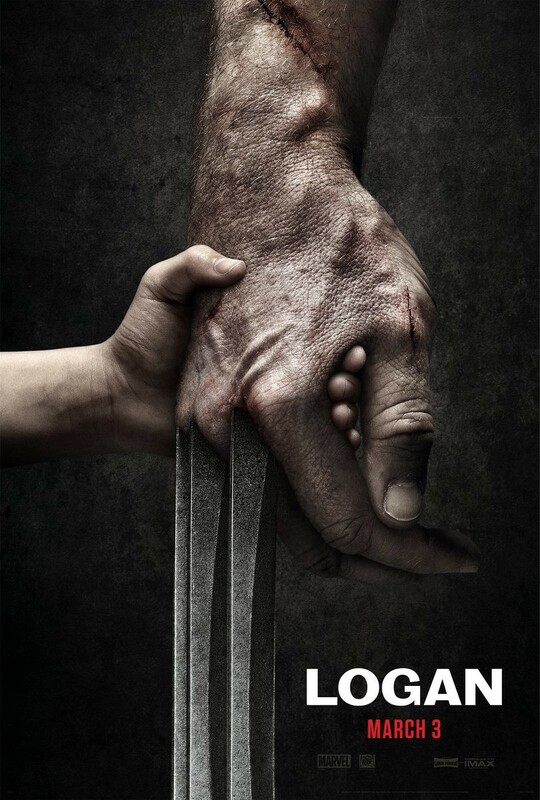 The latest (and presumably last) Wolverine movie is coming out next March. The scale and scope of this one seems very personal (helped along by some nice Johnny Cash music). And who doesn’t want a road trip movie with Hugh Jackman and Patrick Stewart? Back for another round and it’s a whopper. Empire Online has an article reporting on the future of the X-Men Franchise, particularly the upcoming Wolverine, Deadpool, and X-Men First Class films, as well as the Magneto films. The good news is that the Deadpool film is going to be a re-boot, so we’ll be able to get the wise-cracking Merc With The Mouth (as well as his supporting cast – though there’s no mention of Bob: Agent of Hydra). The bad news is that we’re probably not going to get the Magneto movie, at least not unless the de-aging technology they used for part of X-Men 3 becomes much cheaper. I’d like to thank Chad for the story submission, and if you have any stories you would like to submit to the site, feel free to send them to fiziko(at)bureau42.com with “Story Submission” in the subject line. Ryan Reynolds spoke to MTV.com about the upcoming Deadpool movie, and I find the results quite heartening. The first of several proposed X-Men Origins movies hits this weekend.